Hello The Girl Creative readers! I’m Linda from Night Owl Corner and I’m here today to share an easy but delicious dessert recipe with you! Several years ago, my husband and I took a kid-free weekend trip to the mountains of Asheville, North Carolina. We stayed at a bed and breakfast, drove down the Blue Ridge Parkway to admire the fall colors, hiked through Graveyard Fields and spend some time browsing antique shops. We found these beautiful hobnail goblets for a steal. I honestly couldn’t tell you exactly what the price tag was but I remember it was a major deal! We were having company over recently and I wanted to make a dessert that could be served in these goblets. 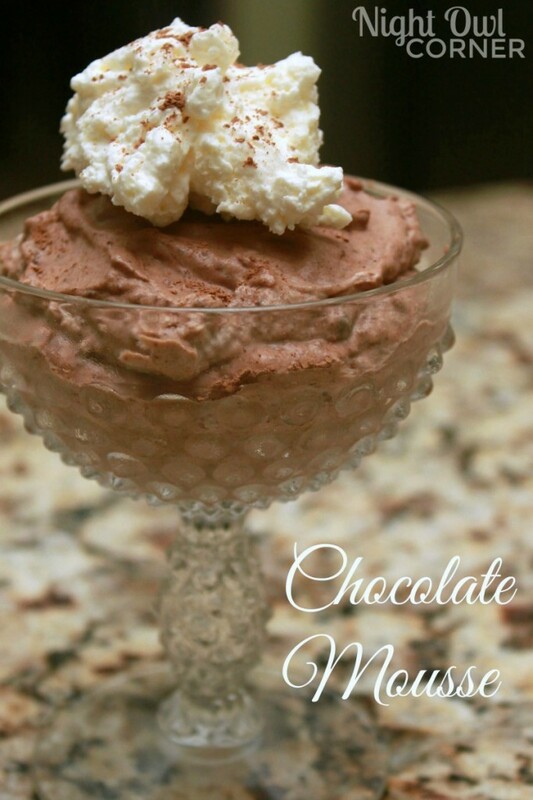 I adapted the following recipe from Paula Dean’s chocolate mousse recipe. Break chocolate into smaller pieces and melt on top of a double boiler. When close to being melted add coffee and stir together. In a separate bowl, beat 3 egg yolks and 1 cup of sugar, mixing well. Add mixture to melted chocolate and cook over heat. Stir well until sugar is dissolved. Remove from heat. Cool. Beat 4 egg whites until they form soft peaks. Fold into chocolate mixture. Beat heavy cream with the remaining 1/2 cup sugar until soft peaks begin to form. Fold into chocolate mixture. Chill for at least one hour. 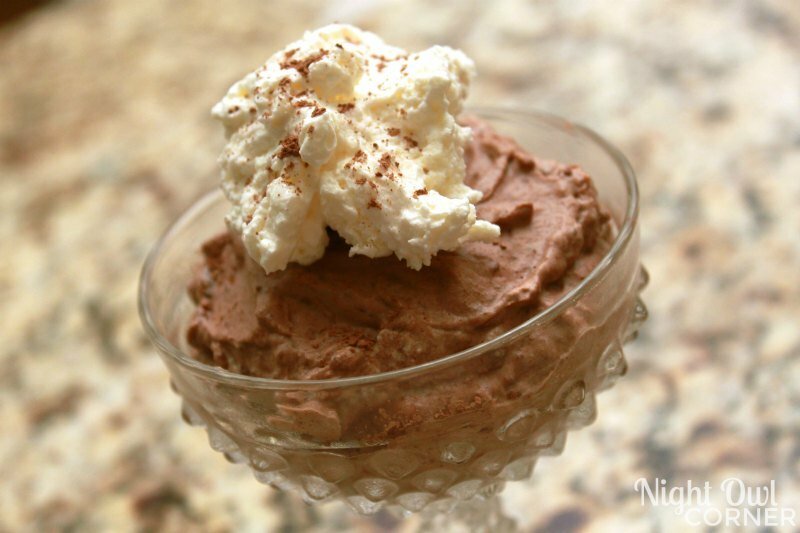 Before serving, garnish with a dollop of fresh whipped cream and cocoa powder. These goblets now have a home in the antique corner buffet cabinet that we inherited from my husband’s grandparents. We FINALLY striped and refinished it recently and it looks amazing. I’m featuring this transformation on my blog Night Owl Corner today and would love for you to see how it turned out!